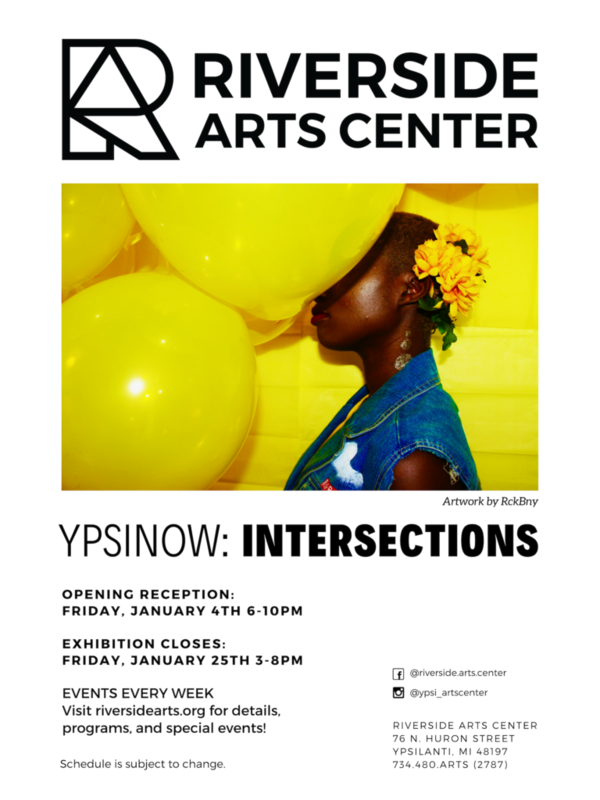 YpsiNow: Intersections is Riverside’s second annual exhibit showcasing Ypsilanti based-creatives. Ypsi Now: Intersections, is a celebration of where we are, where we are going and the complex web of experiences that make our community truly special and unique. The exhibition takes place in January of 2019. Juried by RckBny, Gary Horton and Rey Jeong.